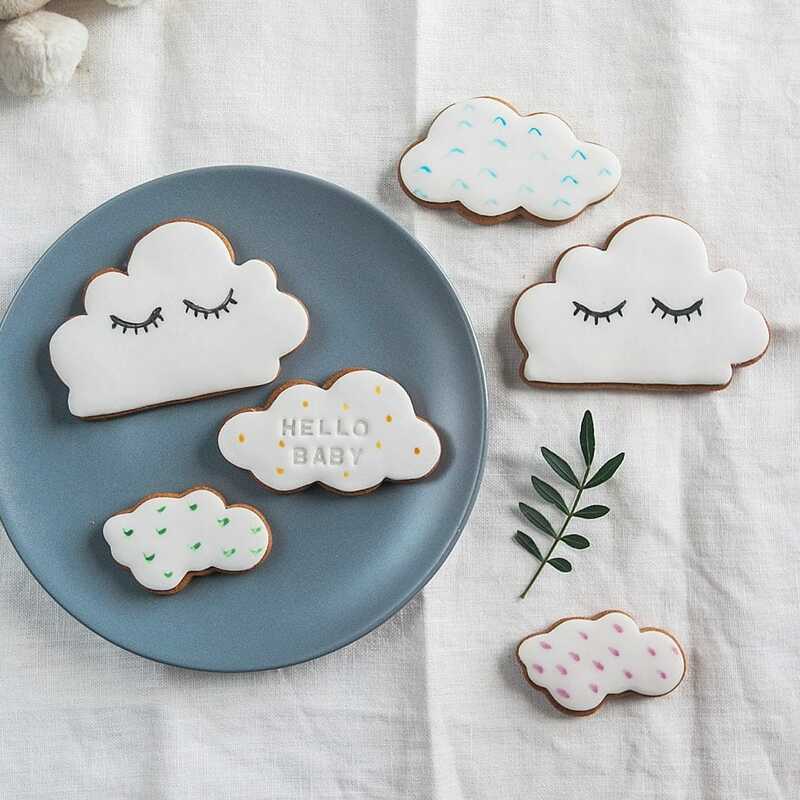 This cute hand painted collection is a lovely way to celebrate the birth of a new baby – and Mum will love them to will keep her energy levels up! Biscuit: British flour, British sugar, golden syrup, British butter, Free Range eggs, vanilla essence (vanilla, alcohol). 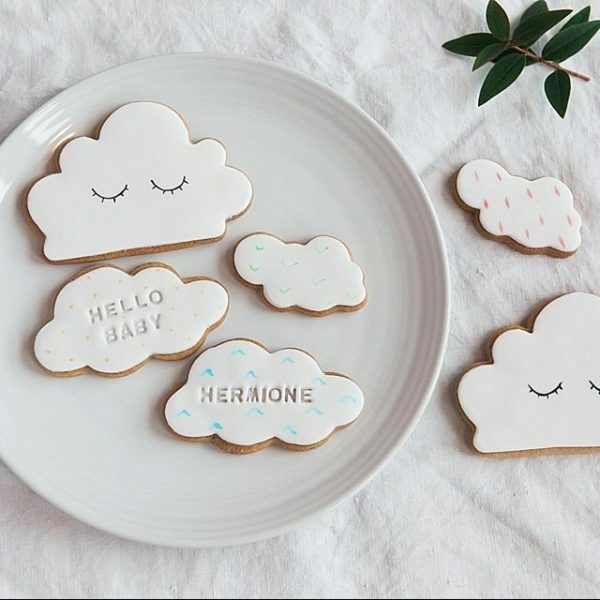 Fondant icing: Sugar, Glucose syrup, RSCO certified sustainable palm oil, Humectant: E422, Emulsifier: E471, Stabiliser: E413, Preservative: E202, Flavouring. Royal Icing: pasteurised free range egg whites, icing sugar, glycerine. Colours may include: E422, E1520, E551, E110, E124, E129, E133, E155, E102, E122, E153, E104, E159. E110, E129, E104, E102 and E124 may have an adverse effect on activity and attention in children. Biscuits may include embellishments which contain soya. 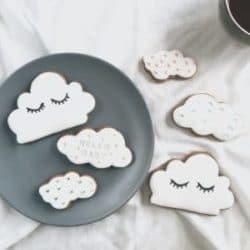 Biscuits will last for 2 months from date of purchase if stored in an airtight container in a cool dry place, or two weeks in their original packaging. We can pack them in airtight packaging (for a two month shelf life) if you prefer, please request this when ordering. We don’t include pricing information in the parcel. You will receive an order confirmation by email (please check your spam folder if it doesn’t arrive).